SDL develops tomorrow’s leaders through hands-on experience, internships, and more. SDL values education and provides hands-on experience for over 130 students, which make up approximately 20% of the workforce. 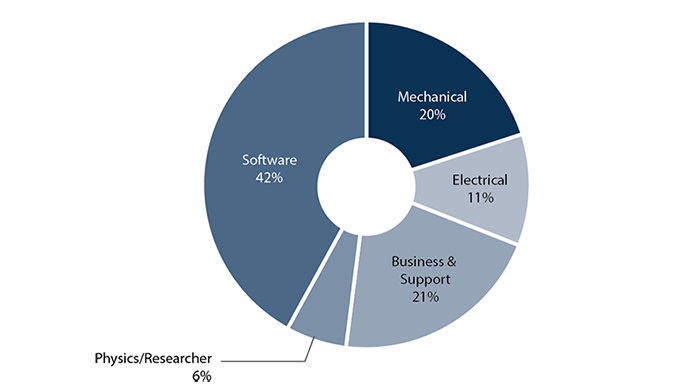 Most students at SDL are pursuing engineering degrees, but we also hire a large percentage of students that fill business support roles. Many of our full-time employees began their careers as student employees. The Student Scholar program provides SDL student employees with opportunities to expand their knowledge, extend their work experience, and engage with the community. The program is managed by student employees and representatives from throughout the lab. To be recognized as a student scholar, each student candidate must be employed for a minimum of one year, maintain a 3.0 GPA, participate in additional training specifically designed for student scholars, participate in four hours of community outreach (public tours, science fair judges and volunteers, STEM festivals, career fairs, etc. ), and complete a special work-related project that enables them to expand their current experience and skill set.